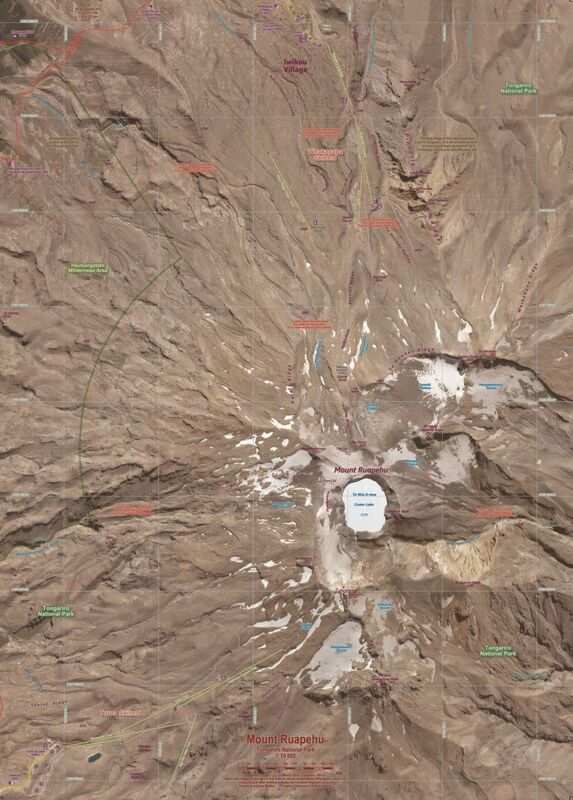 The heart of Tongariro National Park is shown here at a large scale. The striking volcanic landforms of Ruapehu, Tongariro and Ngāuruhoe are shown to advantage, as are the huts and tracks and entry points. Notes highlight historic, geologic and safety features. 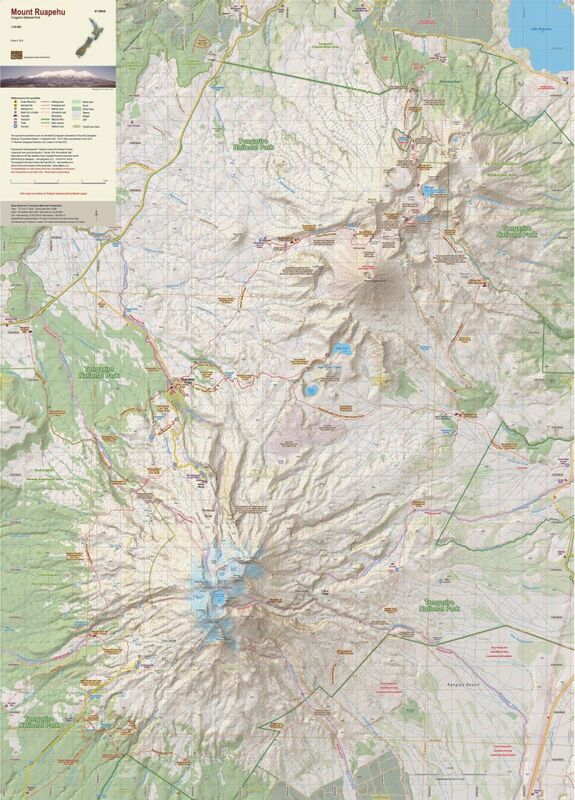 ​The summer image of the top of Ruapehu is shown at 1:10 000 scale. This 4th edition was published to mark the 11th Mountain Cartography Workshop, Hvar, Croatia, May 2018. Large format 600x840mm. Double sided. Folded to 120x210mm.